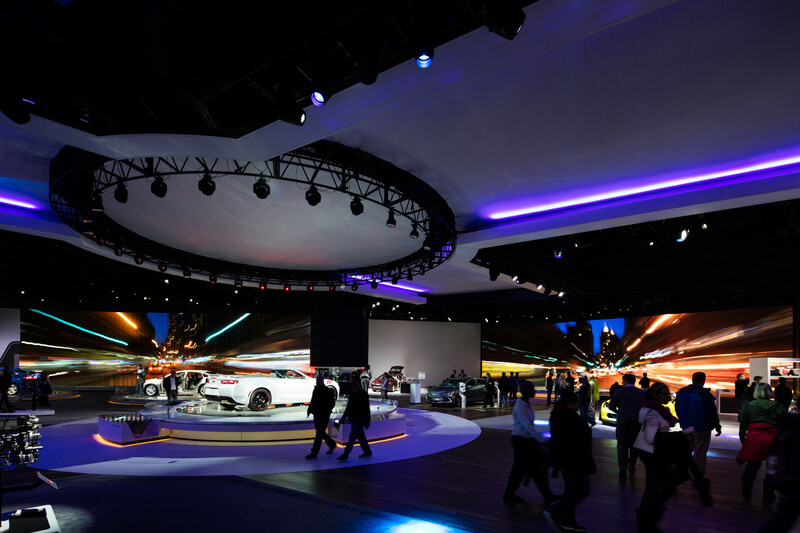 At the most influential auto show in the world, an immersive and playful multimedia experience. 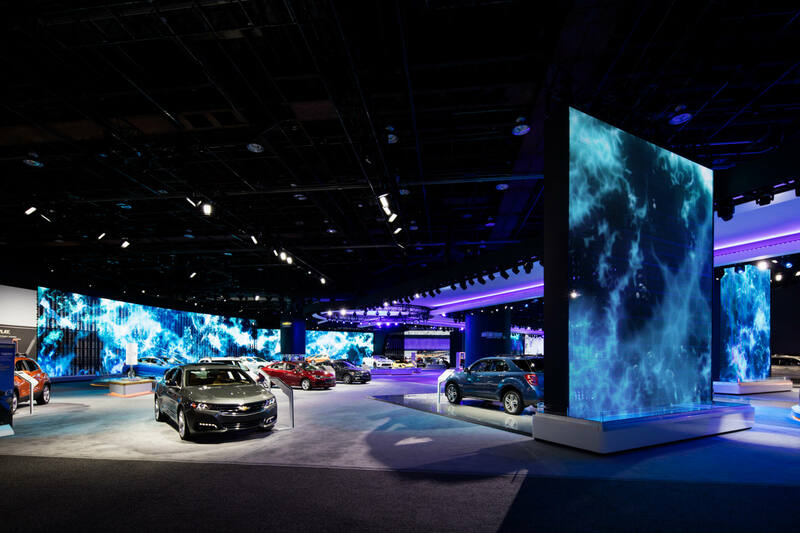 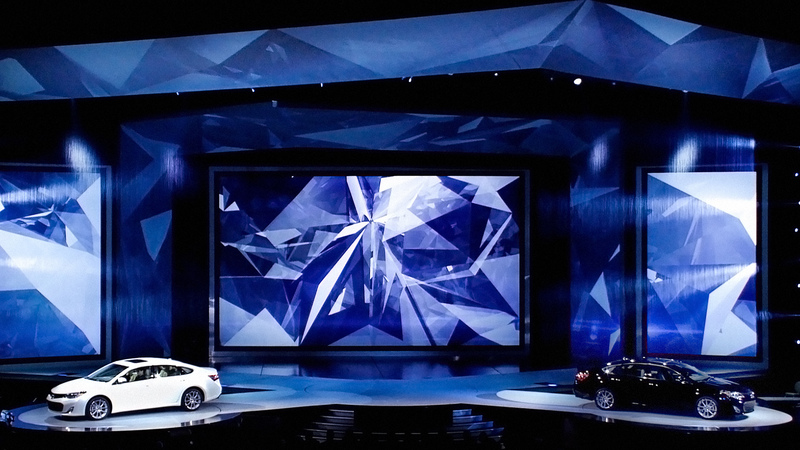 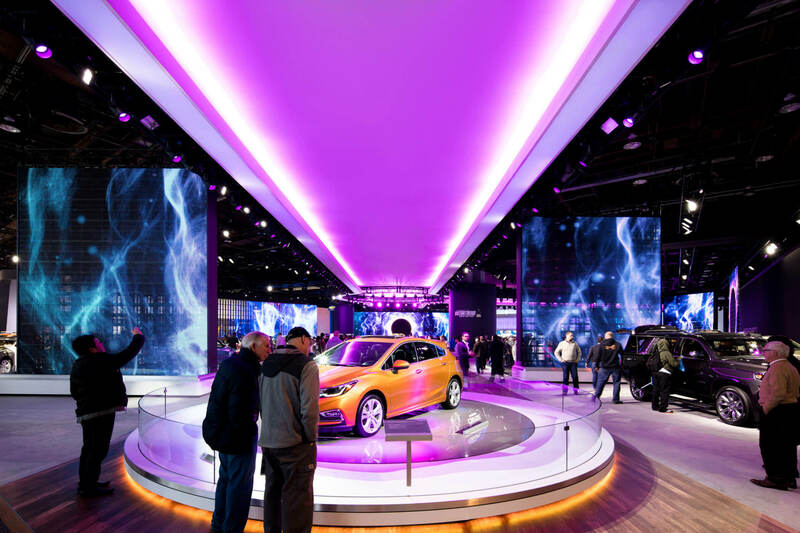 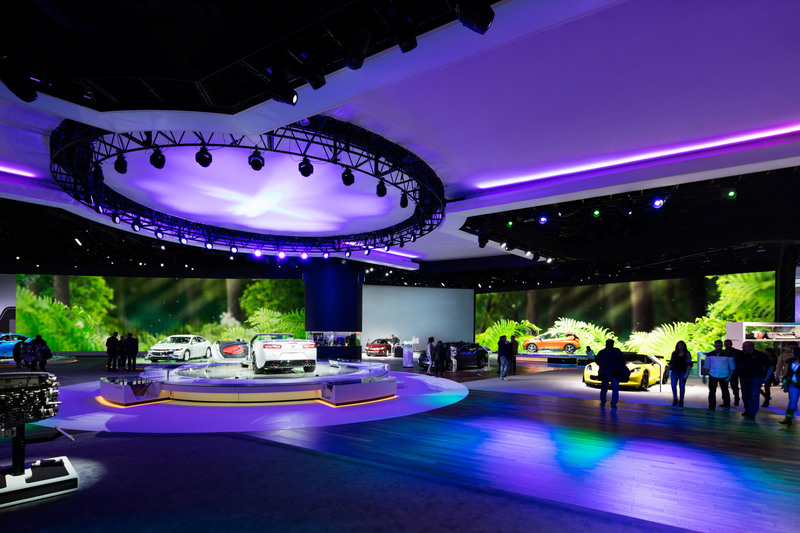 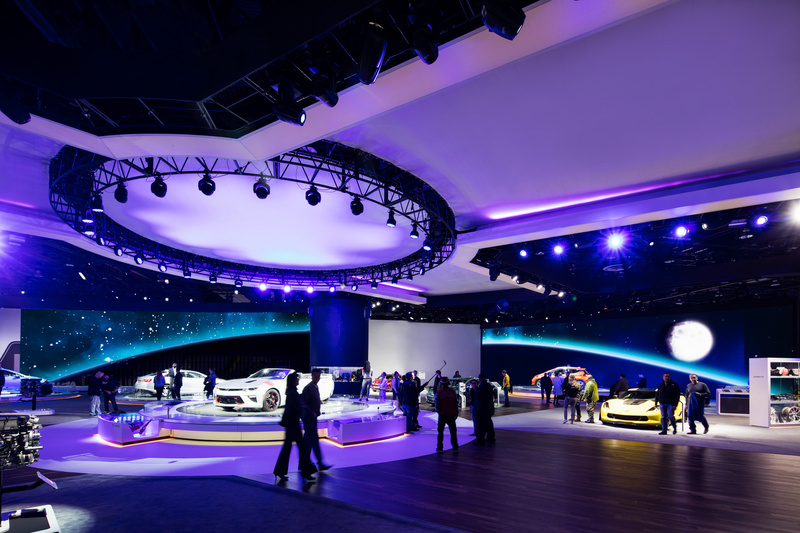 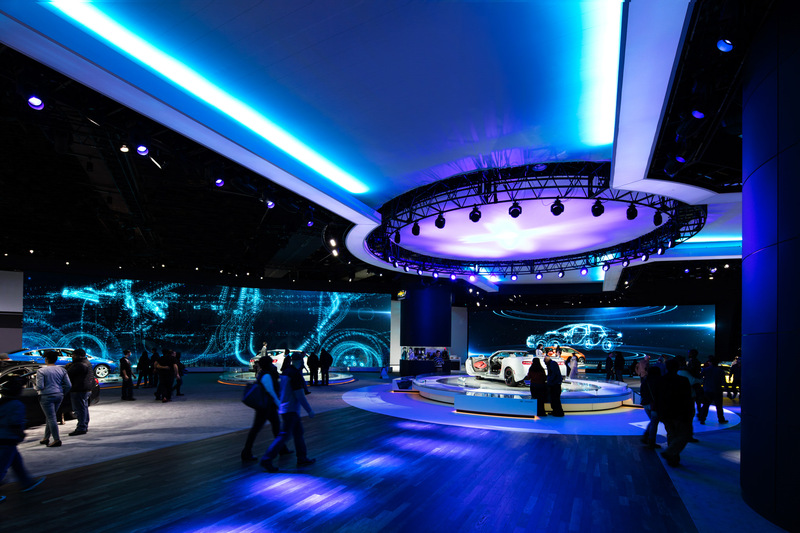 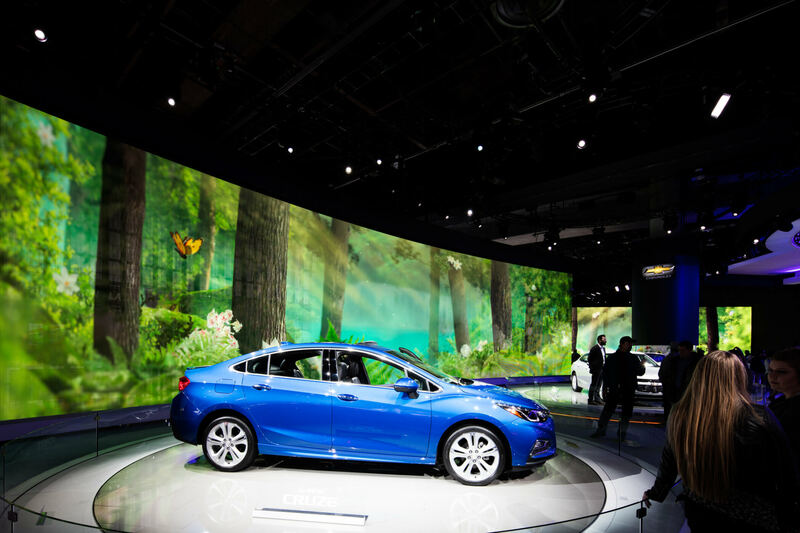 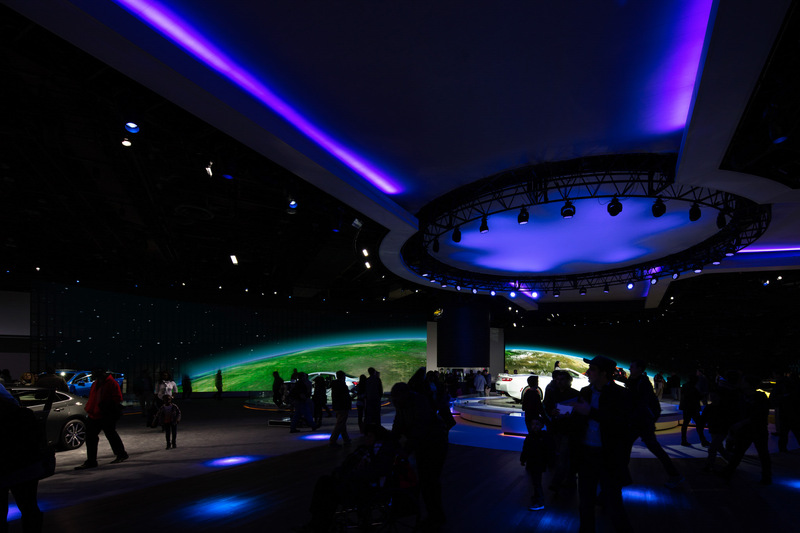 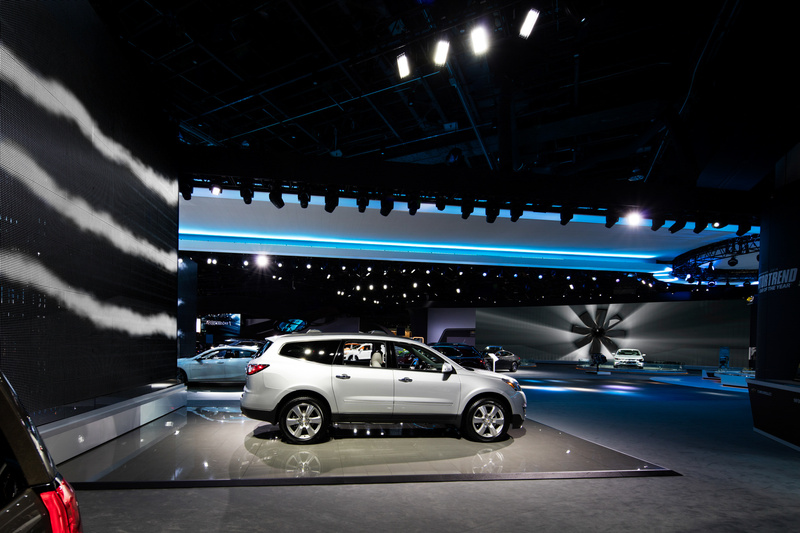 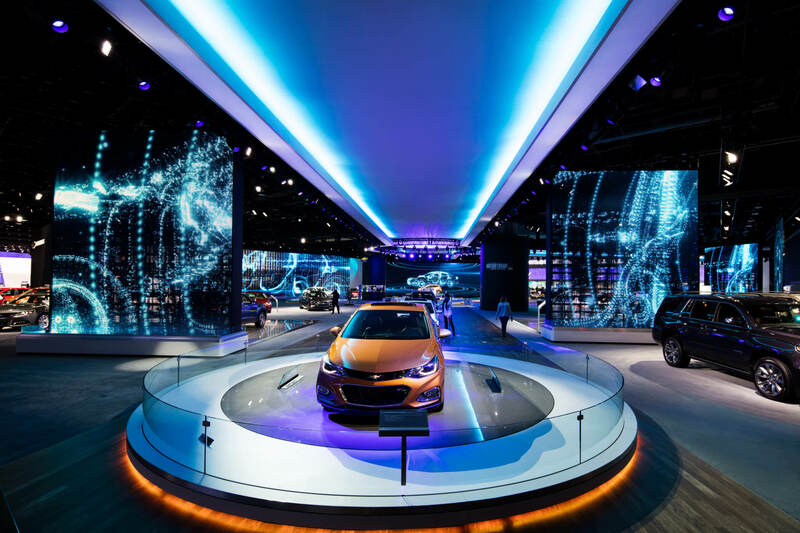 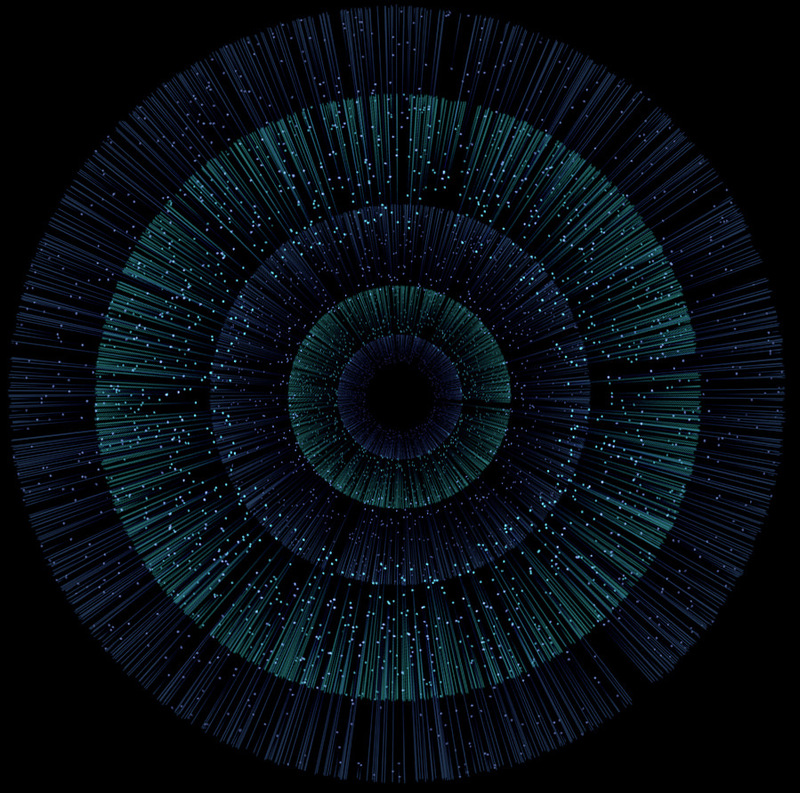 The global brand experience agency Jack Morton Worldwide invited Moment Factory to turn up the attraction factor at Chevrolet’s 2016 North American International Auto Show stand in Detroit. 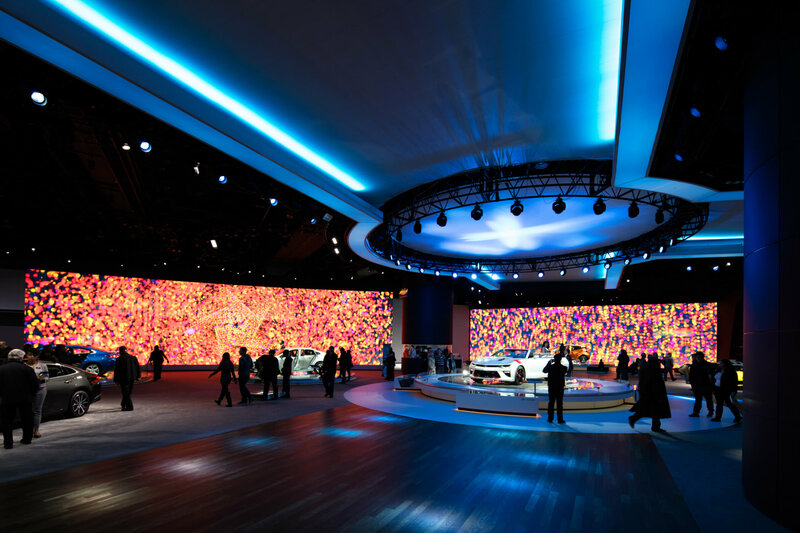 At an event where countless digital displays compete for attention, our challenge was to take 815,000 visitors on an inspiring journey. 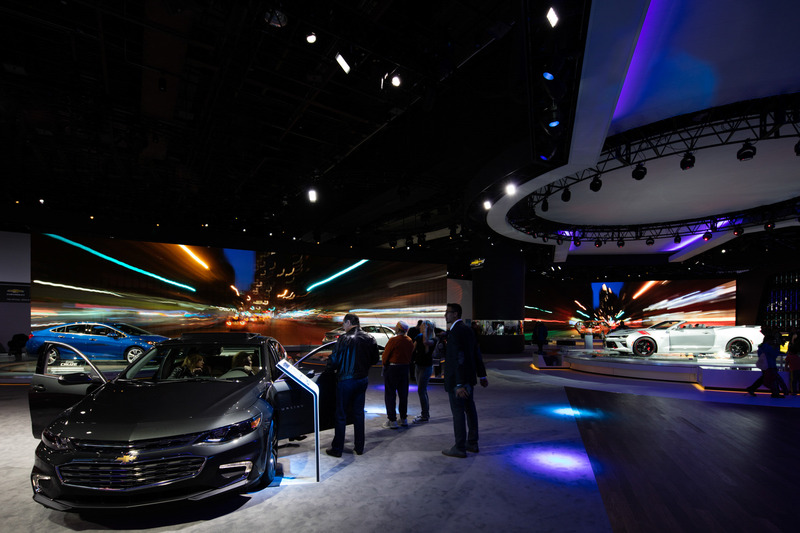 The goal: engage the audience with the international personality of the Chevy brand, and highlight its commitment to developing innovative and environmentally sustainable vehicles. 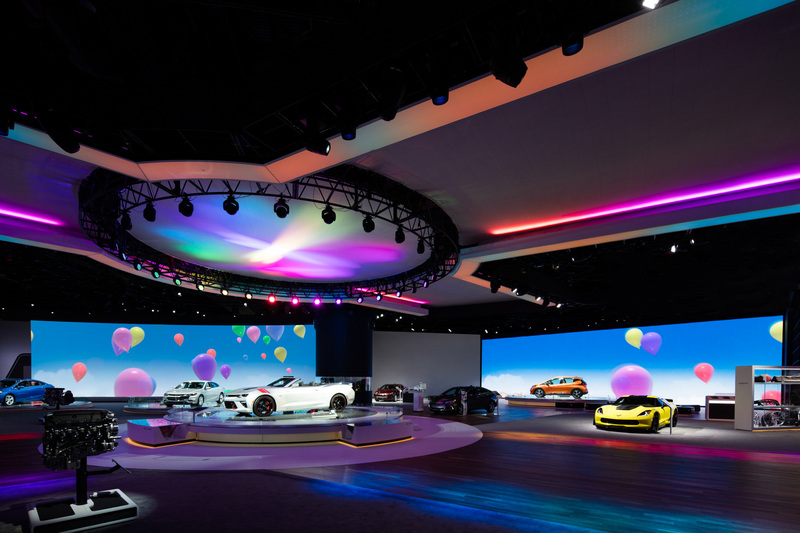 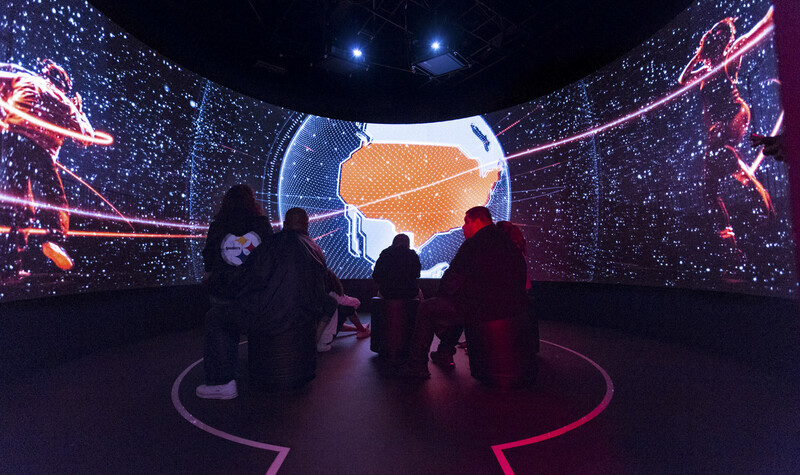 Moment Factory produced an immersive multimedia experience for projection on 12 massive screens in a 40,000 square foot showroom. 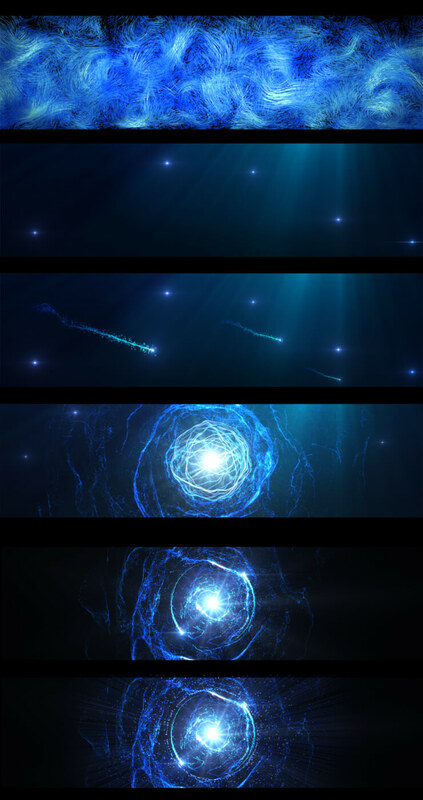 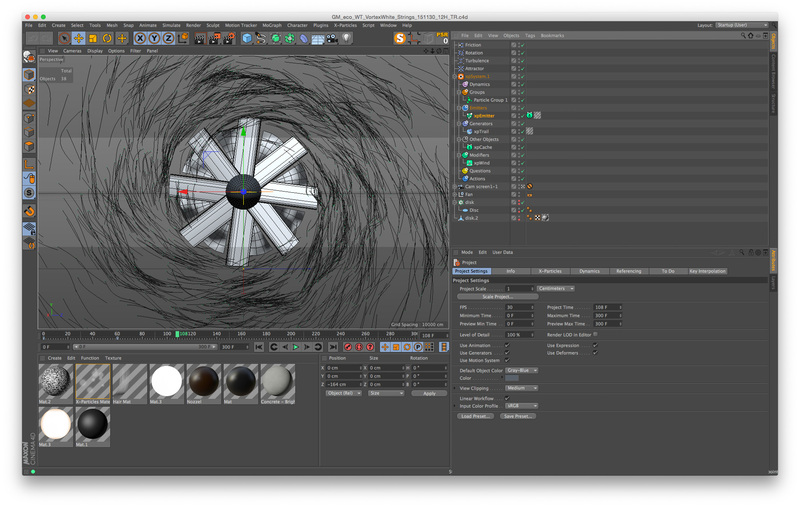 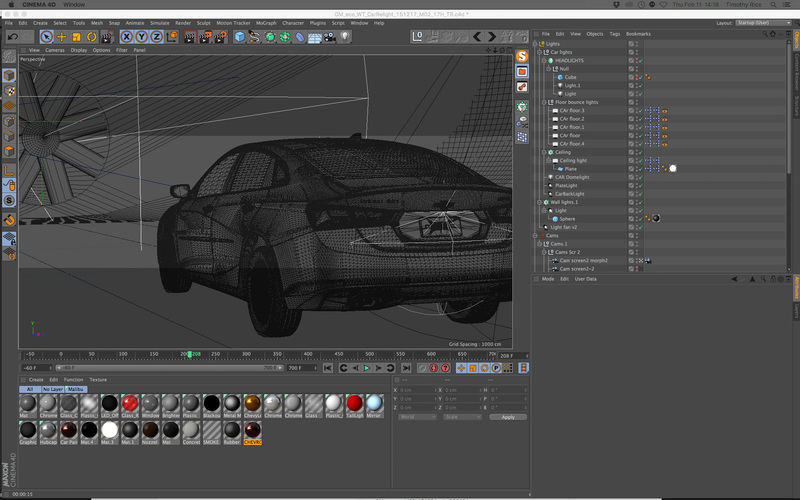 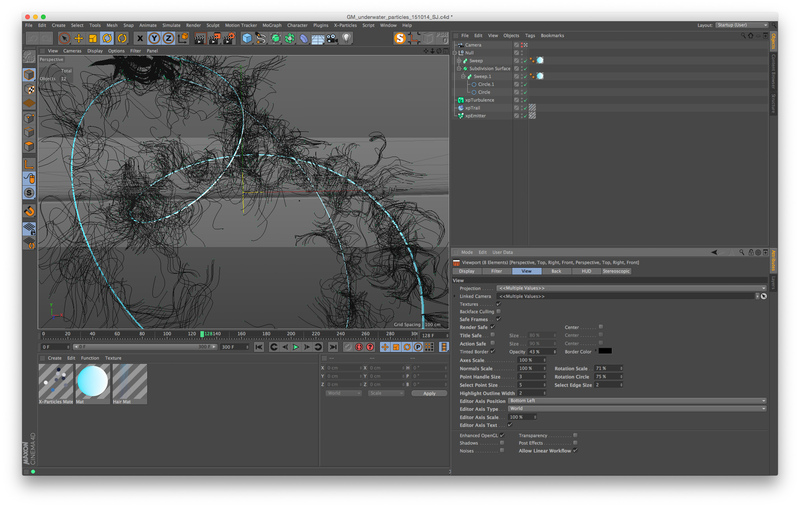 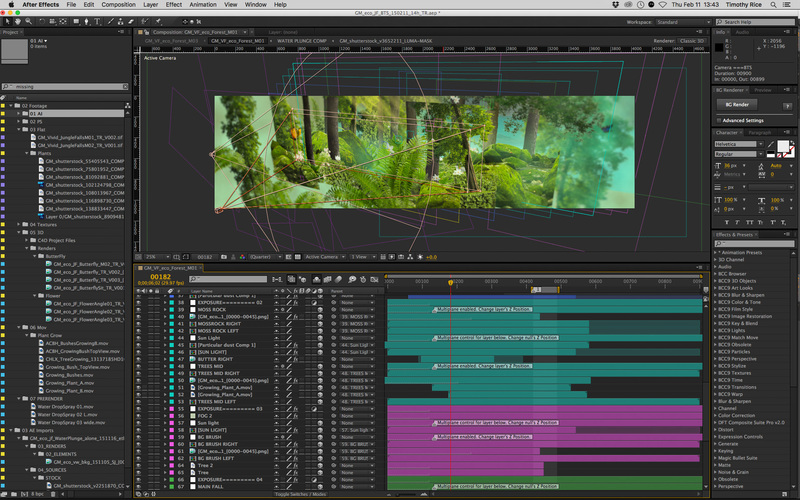 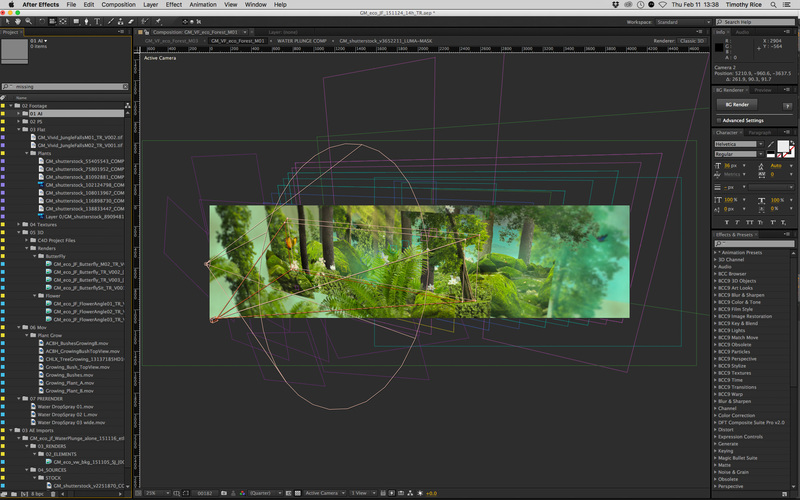 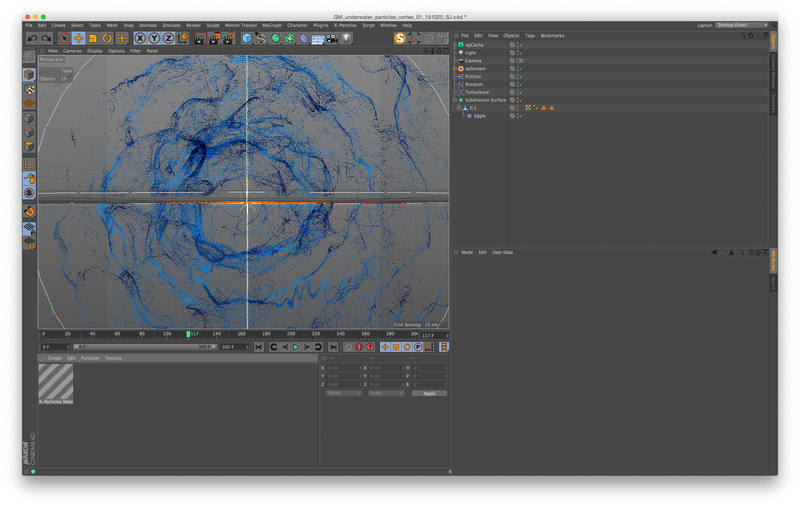 Harnessing the power of smooth and original visual angles, in tandem with a captivating soundtrack composed by Vincent “Freeworm” Letellier, the space around the vehicles was transformed. 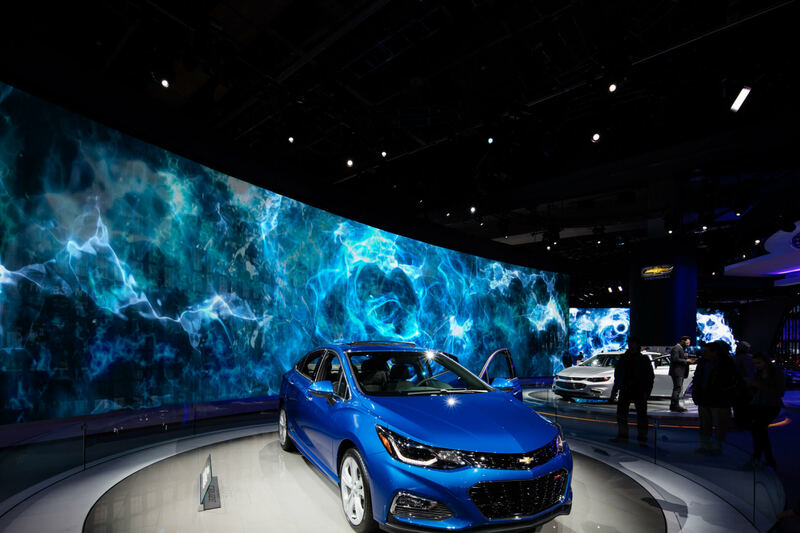 Forgetting for a moment their surroundings, spectators were transported from the outermost limit of the atmosphere to the jungles and beaches of Brazil, and from the lively streets of New Delhi to a late-summer American rave. 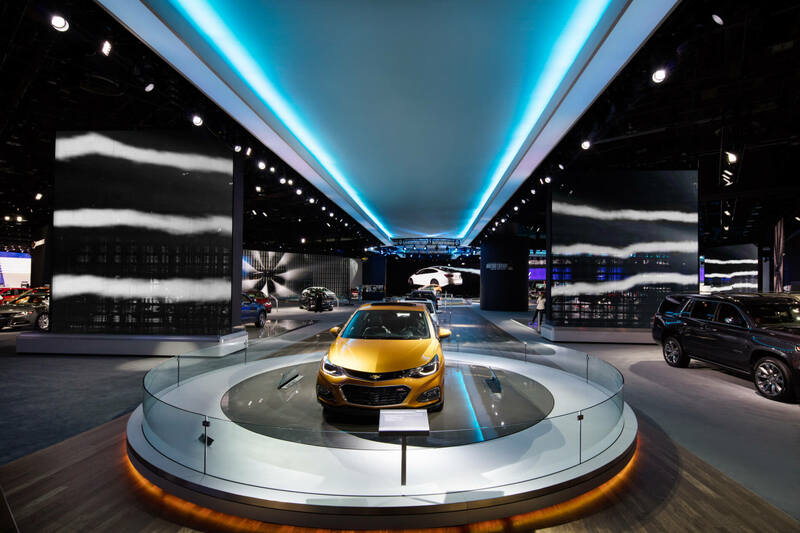 Representing Chevy’s vision for the future, thousands of balloons swirled aerodynamically while the enchanting sound of children’s laughter filled the air. 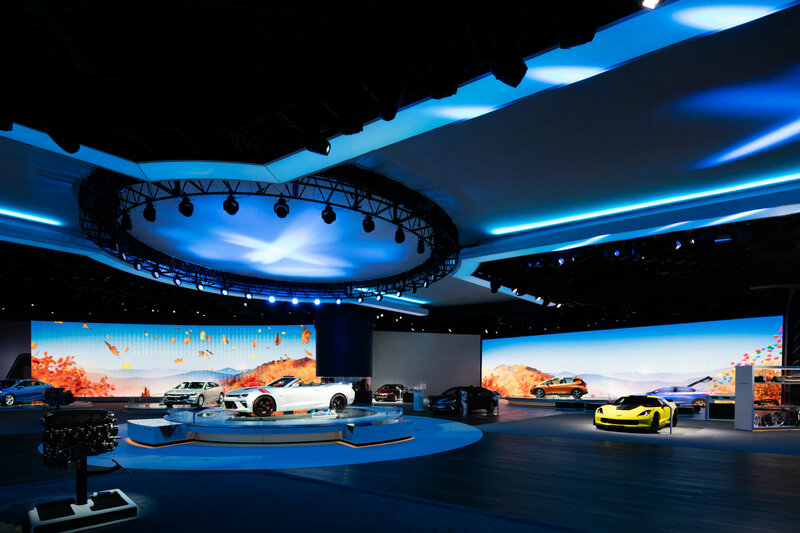 The high-octane atmosphere at an auto show presented Moment Factory with an exciting opportunity to take the consumer experience to a new place. 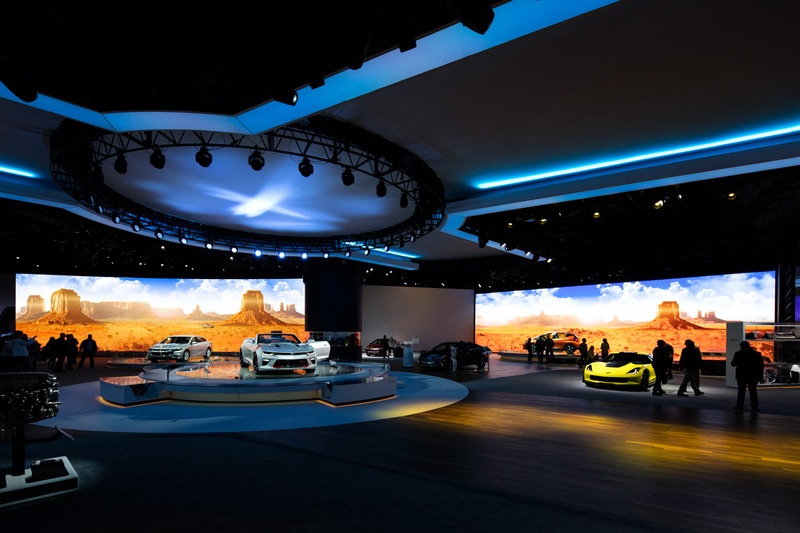 Our playful yet dynamic representations of the Chevy brand attracted thousands of people to the stand, where they were surprised by the magical feeling of embarking on an adventure.